BP has a burst pipe deep in the ocean that is spewing out oil to the tune of thousands of gallons a day. This issue is simple. Most people probably experience something similar... of course not to the same degree. Maybe it is a burst pipe during cold weather. A water hose with a leak. Maybe even a sewage line. The commonality of the issue is what makes the problem interesting to think about. I've even done some problem solving myself using tools learned in manufacturing. Maybe a little 6 Sigma will help solve the problem. Silly, I know, but fun because (again) the problem seems so simple. Leaky pipe. With 6 Sigma you identify a problem and use various tools to solve it. It's a way of organizing your thoughts and helps get to your root cause. In the case of the burst oil pipe deep in the ocean you could not only eliminate wasteful activity ("top hat" type solutions) and target ones that will work. Maybe a simple cause and effect (fishbone) diagram could help. This is where you state the problem on the far right (the fish head) and affix all possible inputs that could cause the issue. Doing this forces you to take a step back from the issue and mark off every possible thing that didn't cause the problem. Your not trying to solve it at this point, just trying to identify what caused it. In some cases, merely doing this exercise will solve the problem. For example: you could list a valve farther up broken pipe as the problem, or of like if you have a toilet that is stuck running. What you would do there is turn the valve off and fix the problem. No valve? then keep listing inputs to the problem marking them off one by one. One key thing in starting the process is Defining the problem. It's step one and the most important. The problem here with the oil leak is not just the leak, but the damage it is causing the rest of the region. Pretty large problem so it would have to be broken up. Maybe simply to fixing the leak and the oil removal after the leak. It depends on the resources available. Control the future state process to ensure that any deviations from target are corrected before they result in defects. Control systems are implemented such as statistical process control, production boards, and visual workplaces and the process is continuously monitored. You could do all of that... OR just be a couple old southern boys who have experience in cleaning up after themselves. 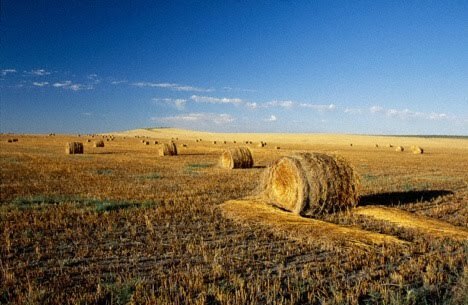 Hay. Yes, hay is for horses. But it is also useful when you are working on your tracker next to a river and you spill oil in it. Follow the link below. There are lots of other questions to be asked before it can be tried. But, ya know... sometimes a simple problem is made complex when it shouldn't be. I know the root cause of the oil is not solved by spreading hay all over the oil in the ocean, but if the leak cannot be stopped then we may be using a lot of hay to sop it up.